Evolution is necessary for survival. Darwin’s evolutionary principles and coined expression “survival of the fittest” don’t just apply to chipmunks and cheetahs. All colleges have had to adapt, compete, and make impressive additions to stay alive in the college spectrum. Over the past one hundred seventy years, Davidson has learned to adapt for the needs of today and to anticipate and prepare for the development of tomorrow. Not only has Davidson mingled with the latest technologies, such as the recently added wireless Internet in the Union and library, but residence life has changed in accordance with the demands of the Davidson community. Originally, when Davidson was founded in 1837, all of residence life existed in three buildings, Oak, Elm, and Cedar. But, the increasing student body necessitated the construction of new housing. Originally constrained by a very strict budget, Davidson expanded from the original setup to a more situated and developed area known as Dorm Row. Dorm Row advanced with technological additions such as running water in every room. After Old Chambers, a home for students, burnt to the ground, Davidson took steps toward fireproofing dorms to protect the safety of students and the buildings. As running water, air conditioning, individual internet access and other luxuries seeped into the room accommodations, the students started to want more. Senior apartments have also been added to provide seniors with more ‘realistic’ living quarters. These apartments include kitchens, private bathrooms, and individual bedrooms. Davidson, a more conservative, southern school, has a tendency to stick to its traditions. The Cake Race and the Honor Code prove the college’s dedication to maintaining its pastimes. But, despite these timeless customs, Davidson still manages to be flexible when dealing with the demands of the student community. The school’s slightly late willingness to accept coeducation discloses it’s slower, southern proclivities to change. But, the school readily made accommodations whether in the bathrooms or the classrooms to accommodate female students. Davidson has been developing simultaneously with co-education in the past thirty years. The first completely coed class graduated from Davidson in 1977. Originally, there were only a handful of women living in one house near the campus. Davidson was forced to start planning another major renovation to the campus. 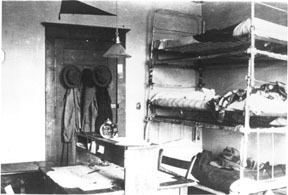 Eighteen years after the introduction of women at Davidson, dorms began to house both men and women on the same floor. Today, first year men and women share floors in Belk, the center of freshmen life. The change that has taken place so quickly is amazing whether it’s due to the competitive nature of all colleges or to Davidson’s own initiative. Some believed that Davidson’s next step will be co-ed bathrooms and mixed floors where men and women are next-door-neighbors as opposed to just hall neighbors. In fact, President Vagt and Dean of Students Tom Shandley agreed to a two-year trial for co-ed housing in Tomlinson Dormitory beginning in Fall 2007.
of Davidson College. Davidson: Briarpatch Press, 1988. College Campus Buildings” 9 Sept. 2003. 17 Oct. 2003 <http://libraries.davidson.edu/archives/encyclopedia/historic-buildings/>. College. 12 February, 1970. Student Government Davidsoniana file. Davidson College Archives, Davidson, NC. of Senior Apartments. 16 October 2003.
of Sophomore Apartments. 16 October 2003.
of Davidson College c. 1947. John Knox Press, Richmond, VA.
and Irwin Dorms Open Doors to 108 Students.” Davidsonian. 15 September 1981. Davidson College. 6 September, 1956. Dormitories Davidsoniana file. Davidson College Archives, Davidson, NC. Dormitories-Supervisors Davidsoniana file. Davidson College Archives, Davidson, NC. College Code of Responsibility.” 11 October, 1968. Davidsoniana file. Davidson College Archives, Davidson, NC. Photograph of Ms. Moore. Photograph Collection, number 19-0026. Davidson College Archives, Davidson, NC. 1930. Photograph Collection, number 9-0949a. Davidson College Archives, Davidson, NC. 1893. 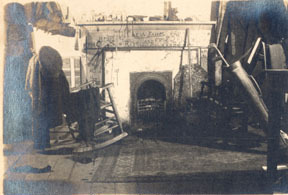 Photograph Collection, number 9-0546c. Davidson College Archives, Davidson, NC. Photograph Collection, number 19-10/09. Davidson College Archives, Davidson, NC. on Coeducation.” May, 1969. Excerpt Davidsoniana file. Davidson College Archives, Davidson, NC. Flowe, Hart, and Ryburn Residence Halls.” Dedication Program. September 1994. Davidson College Archives, Davidson, NC. College. 8 April 1977.Buildings -Dormitories Davidsoniana file. Davidson College Archives, Davidson, NC. Cite as: DeCastrique, Lindsay, Ruth Hill, Graham Jaenicke, and Dana Innes.